Between February and May 1946, the Canadian military tested its ability to move a small force across the Arctic in Exercise Musk Ox – an epic 3200-mile journey from Churchill, north to Cambridge Bay, and then back south to Edmonton, through unmapped territory, blizzards, spring floods, mud and dust storms. The exercise represented the first attempt to use motorized land vehicles to traverse Canada’s High Arctic and it required the largest aerial resupply effort ever attempted in the country up to that point. 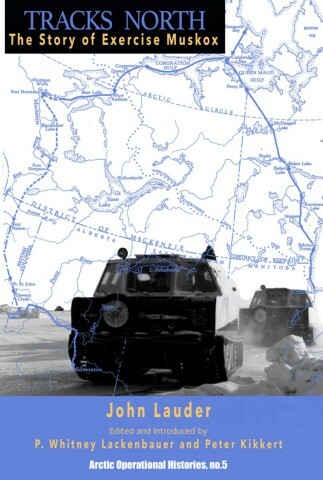 In Tracks North: The Story of Exercise Muskox, John Lauder – who served as a meteorologist at Churchill and Norman Wells during the exercise – narrates the endeavour from the extensive planning and preparation it required, to the preliminary winter training undertaken by the expedition members, their long journey through the North, and the massive amount of logistical support required by the small moving force. In telling the story of Musk Ox, Lauder captures the challenges experienced at every stage of the exercise – and the improvisation and innovation required to overcome them. 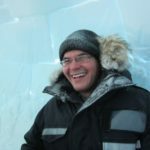 WHITNEY LACKENBAUER, Ph.D., is Canada Research Chair in the Study of the Canadian North and professor in the School of Canadian Studies at Trent University. 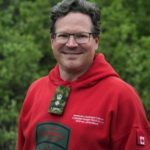 He is also co-director of the Centre on Foreign Policy and Federalism at St. Jerome’s University (University of Waterloo), Waterloo, Ontario; adjunct professor at the Mulroney Institute on Government at St. Francis-Xavier University; and the Honorary Lieutenant Colonel of 1st Canadian Ranger Patrol Group (1CRPG) based in Yellowknife. His recent books include China’s Arctic Ambitions and What They Mean for Canada (co-authored 2018); The Networked North (co-edited 2017); Canadian Armed Forces Arctic Operations, 1945-2015: Historical and Contemporary Lessons Learned (co-edited 2017); Whole of Government through an Arctic Lens (co-edited 2017); and (Re)Conceptualizing Arctic Security: Selected Articles from the Journal of Military and Security Studies (co-edited 2017). PETER KIKKERT, Ph.D., is Irving Shipbuilding Chair in Arctic Policy at St. Francis Xavier University. His dissertation, “Grasping for the Ends of the Earth: Framing and Contesting Polar Sovereignty, 1900-1955,” explored the evolution of sovereignty and the legal principles for the acquisition of territory in an international, bi-polar context. He has co-edited The Canadian Forces and Arctic Sovereignty: Debating Roles, Interests, and Requirements, 1968-1974 and Legal Appraisals of Canada’s Arctic Sovereignty: Key Documents, 1905-56. Other recent publications include articles on the sector principle, Canada’s Arctic sovereignty strategy in the early Cold War, and Yukon during the First World War.